I met the photographer and Cinematographer Josiah Esowe rushing down West Broadway in SoHo. He stopped me because of my colorful fur stole I was wearing and asked to take a picture of me. His kind personality and his green dyed hair made me forget my busy schedule for a couple of minutes while he was getting the best angle and light to get a photo of me. We talked and there was a mutual interest in each other’s way to see the world immediately, that we decided to meet for tea. A woman with a great eyeliner that he photographs or just someone with a great skin tone – he has the beauty detector. When looking at someone I want to photograph, their outfit has to feel as an extension of their personality. As in they have to look comfortable and confident it what they are wearing, as long as it is not all black. ASIA: IS THERE A DIFFERENT APPROACH TO OUTFIT & MAKE UP? In my trips to Asia there are few unique styles that I want to celebrate. Most countries in Asia being unique, or to stand out is not something that is celebrated, and many people grapple with the conflicting tradition. However, there are always exceptions, and when these exceptions happen, I try to make sure I capture it. One accessory that I would add to almost every woman’s outfit would have to be confidence in who you truly are. As in believing you oneself. I don’t think this is a physical accessory, but you know what I mean. The art of dressing up has always being part of my life. 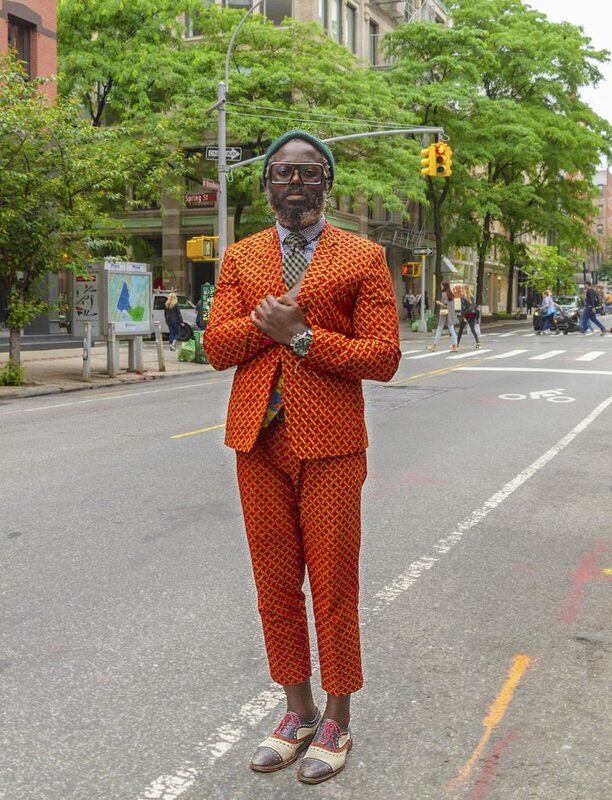 I grew up having bespoke suits that I wore to church on Sundays as a kid. My father knew this tailor who made many of his clothes and in turn made that for the boys as well. There has been this continued misgiving and misinterpretation of what style is. So many people mistake style for fashion, but there are not interchangeable. Style is a way of life. Something you wake doing. 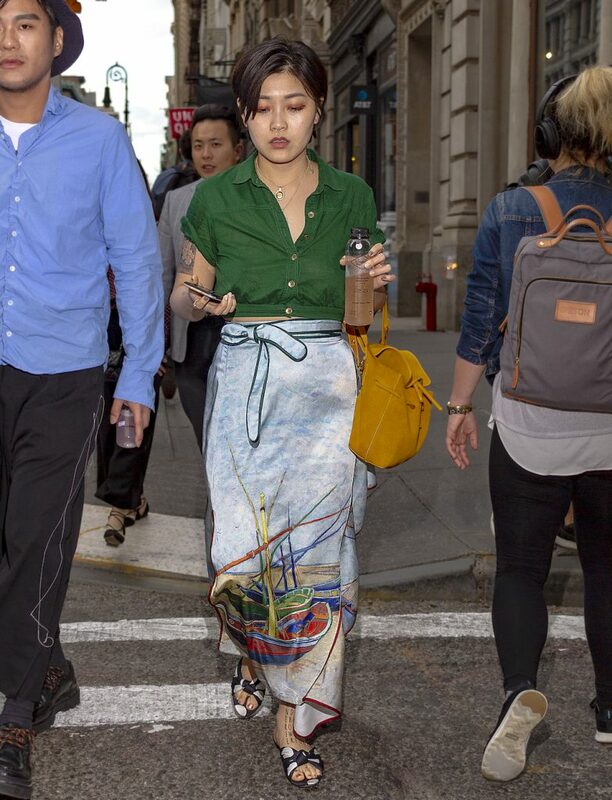 That said, street style is way a person carries themselves, the way the walk, talk, and especially dress disregarding what the current fad or fashion trend is. Keep in mind, wearing brand names is not style. I am just saying. Recently, I have moved from street style photography, to street portraits. I tend to look for individuals who have something unique about them. I also consider the available light, and other photography jargons. To me style is a reflection of a mindset, ideology and perception of the self in relation to everything and everyone we have experienced. NYC being what it is, style is everywhere. Stylish people are around in this awesome city.